From April first, the Blogging Marathon participants have been traversing through most of the Indian states (and some Union territories) trying out the regional food, one state at a time. The final stop is at West Bengal and this is what I have prepared for the state. Check out the other Bengali recipes at the end of the post. The posts done till now were prepared from the month of February and so all I had to do was schedule the posts to go live on that particular day. But unfortunately for Bengal, I kept procrastinating until the end. So April 30th came and went and I was still clueless about what to prepare. 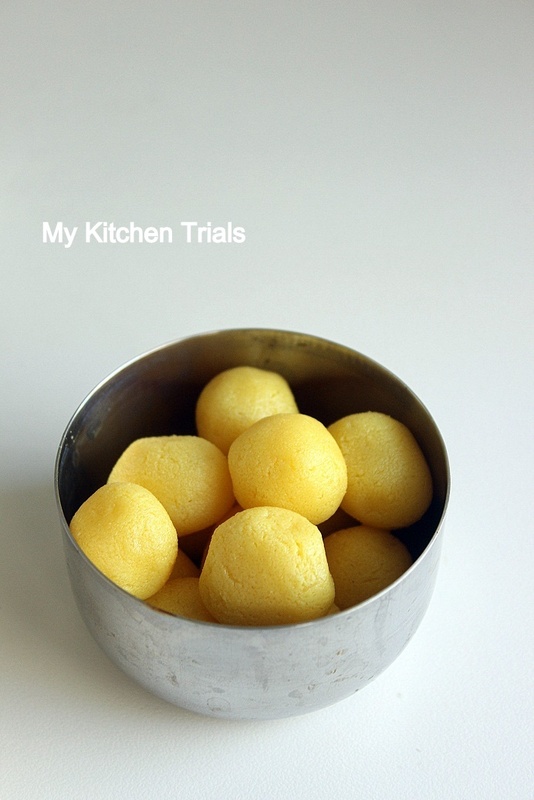 I had bought some ready made rasgolla with an idea to prepare cheater’s rasmalai and to end the month long marathon on a sweet note. But then some ideas just don’t materialize…in this case, the idea(rasgolla) got eaten as such before I could improvise it as rasmalai. The good thing was the rest of the participants did their share of Bengali dishes and I was able to browse through each of them and finalize mine. After ruling out rasmalai and the chanar payesh, which some had prepared, I decided on Vaishali’s Tauk dal and doi dharosh. It’s hardly surprising, given that I have already done three states (Gujarat, Delhi, UP and now Bengal) based on her blog :-). It was also kind of in line with the lunch platter theme I was preparing for all the other states. So, tauk dal and doi dharosh it is…along with luchis and the left over ready made rasgollas. For the luchis, I prepared a corn kurma as a side dish. It’s not a Bengali recipe. Aamer Dal / Tok Dal/ Tauk Dal : Lentils with green mangoes and tempered with panch phoron. Luchi : Deep fried pooris made of all purpose flour. Rasgolla : A Bengali sweet prepared of fresh paneer (or chena as it’s called) and soaked in sugar syrup. The ones here are ready made. Corn Coconut Milk Kurma : This dish is NOT Bengali. I served it along with Luchi as there was no potatoes to make aloo dum. Chili and Lemon wedge : on the side. This is a picture of a Bengali Thali I had prepared two years back :-). Check out here for more pictures and the recipe links. Thats saffron rasgollas are just simply out of the world. Tauk dol and doi dharosh sounds as a prefect pair, beautiful and fingerlicking spread again. Another delicious looking thali, awesome one..
Rajani, I’m going to miss your thalis :-( Thanks for sharing such delicious and beautifully presented thalis. It was great running the marathon with you and I’ll be back here browsing for ideas and recipes. Awesome thali , would love to taste all the dishes ! Awesome job again with the thali. The thali you put together couple years ago is also very yummy. You did a great job with the thalis for this BM. It was a virtual feast visiting your blog. Awesome thali again. I wish I can grab the thali from the screen. It was an awesome running the marathon with you. I remember your previous thali..we exchanged quite a bit of conversation then…and this new thali…well I have made the same daal and bhindi..but i love the way you have presented ..super…you have totally rocked throughout this marathon…kudos!! Awesome Thali Rajini…. You rocked the whole BM…..